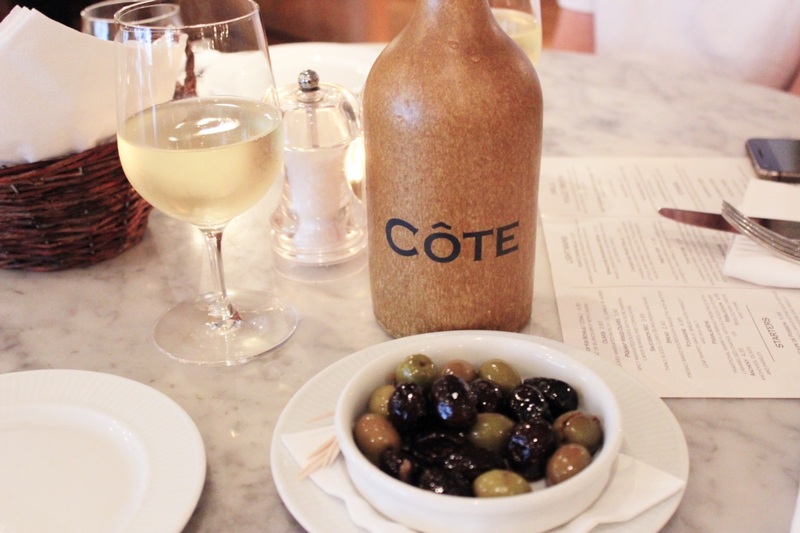 Côte restaurants are inspired by the brasseries of Paris, and boast a casual yet authentic day-to-night dining experience. We were invited along to our local restaurant at Muswell Hill to taste the new 2017 summer vegetarian menu and share our thoughts on it. 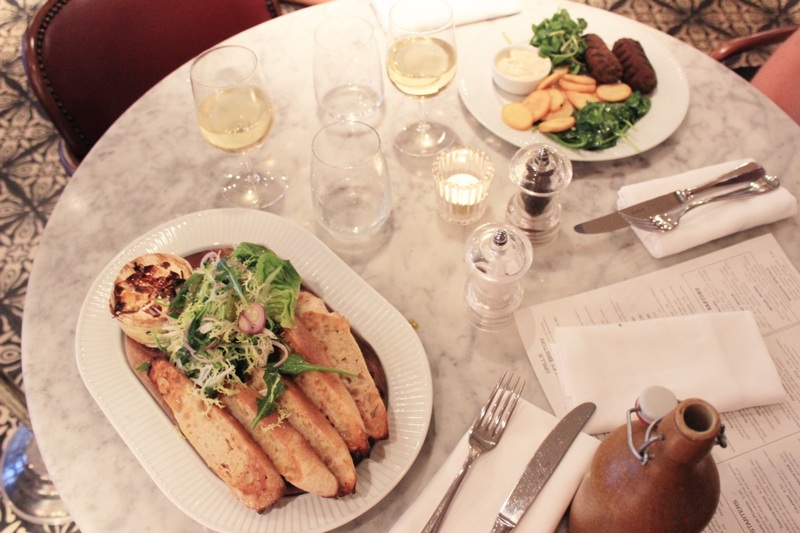 Having never eaten at a Côte restaurant before, I was looking forward to seeing what French inspired dishes, meat-free they had in store for us to try! The Muswell Hill restaurant is surprisingly bigger than it appears from the outside and opens up as soon as you step inside. It oozes a chic décor with gorgeous, patterned flooring, marble tables and plush, leather seating. We were offered some olives and bread, which of course we graciously accepted (give me all of the olives!) before looking over the separate vegetarian menu. It was so nice to be given a menu that had not only all of the vegetarian food options listed, but also the wine menu. Although it shouldn't be, there's nothing more awkward than asking whether a glass of wine from the menu is vegetarian or not. The separate vegetarian drinks menu really does make the whole dining experience a lot easier. 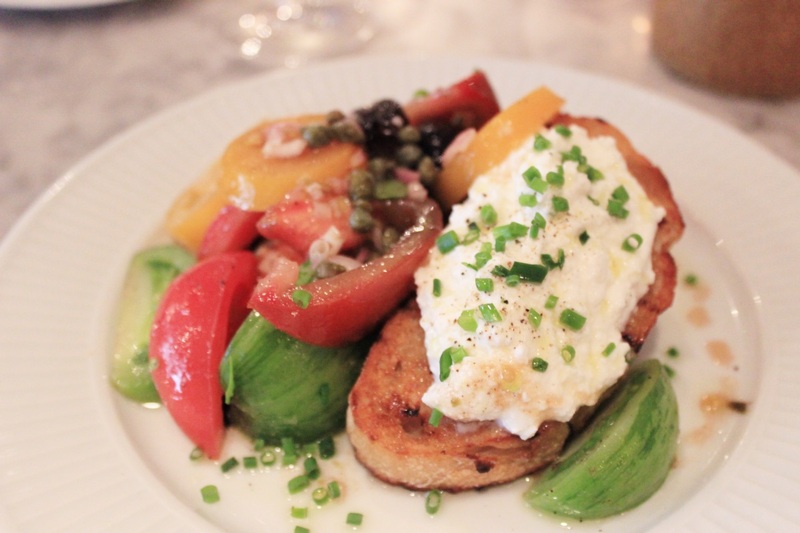 To start, I ordered the Tomates Breton, which arrived to our table looking incredibly colourful as the plate was filled with a selection of chunky, rainbow tomatoes topped with a rich and creamy goats cheese. The soft dollop of cheese broke up the acidity of the tomatoes, which the sharp taste of the tomatoes helped ease the richness of the cheese in turn. It was topped with black olives, shallots and capers and tucked beneath the generous portion was a slice of grilled sourdough bread. James opted for the Eggs Florentine with spinach on a toasted muffin with hollandaise sauce. Unfortunately I can't comment on this personally as I no longer eat eggs, but he assures me it was delicious! 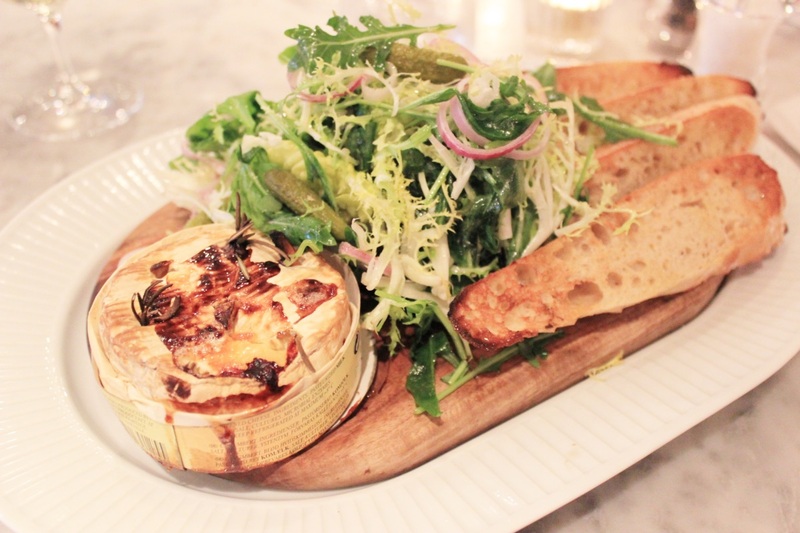 When it came to choosing my main course, it didn't take me long to decide upon the Baked Camembert with garlic, rosemary and honey alongside baguette toasts (by this point I was on my third dish that contained some sort of bread) and green salad. If there's any opportunity to hog a baked camembert all to myself then I will seize that opportunity with both hands. 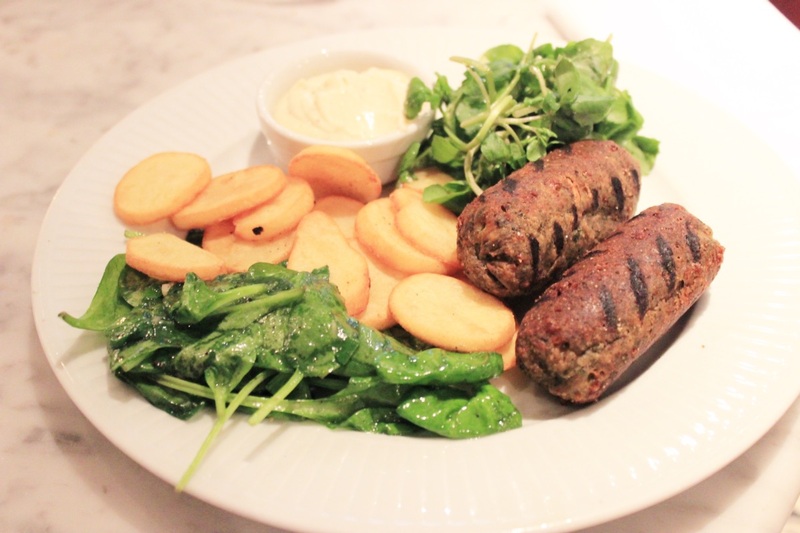 However, James ordered the Vegetarian Sausages with Salardaise Potatoes, which was also a fantastic choice. The sausages are listed as 'grilled spinach and cheddar' sausages, but they tasted like neither of these ingredients and were unbelievably 'meaty' in texture. Despite being absolutely stuffed to the brim, we couldn't pass on sampling the dessert menu. I mean, I always have room for chocolate, so the warm Chocolate Fondant with vanilla ice cream was just what I fancied to end our evening. It was deliciously rich and indulgent, and pretty much everything you would want from a chocolate-centric dessert. James' choice was the tempting Praline Crêpe with caramelised bananas and crème Chantilly. In all honesty, I think I preferred his dessert choice, but it was sickeningly sweet so was a bit of a struggle to finish! 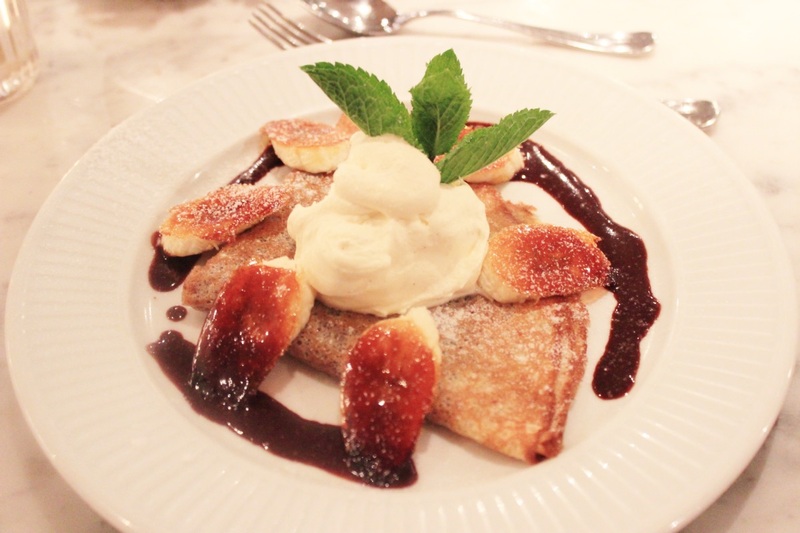 If you do have a notoriously sweet tooth though, make it your mission to taste praline crêpe when you can. Disclaimer: We were offered a complimentary meal for two in exchange for an honest review. I always struggle to find somewhere good to eat these days in London because as a new mum over 40, I'm always so busy with a one-year-old in tow! This certainly looks like a dream and I'll definitely keep this place on our radar. 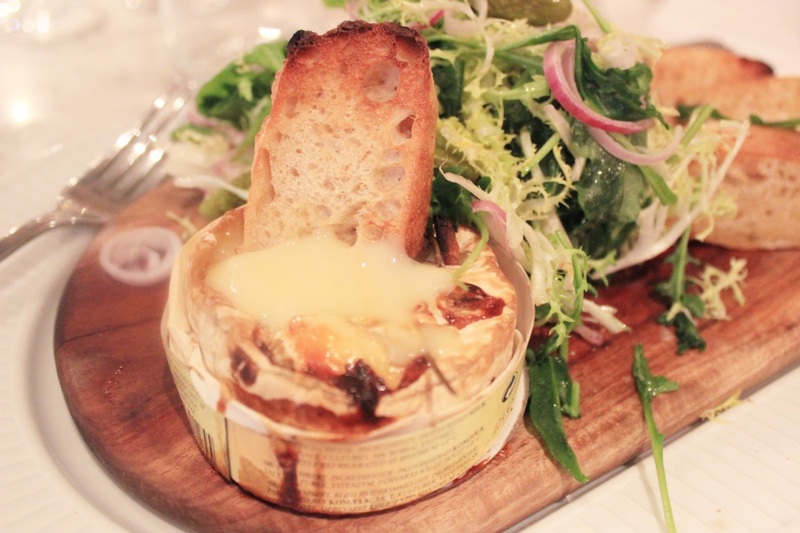 Ahhh Baked Camembert is one of the BEST things. 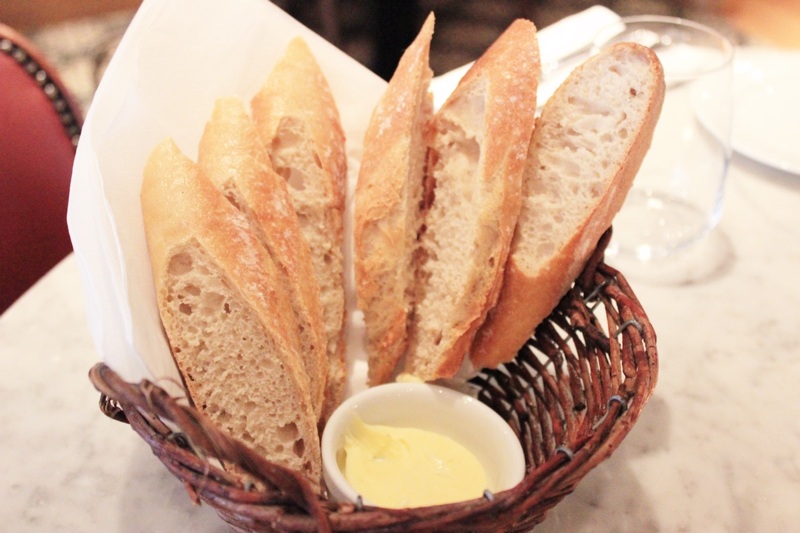 Côte Brasserie sounds awesome - and your photos are fab! I'm a big fan of Cote Brasserie, I go to a branch in Cardiff. 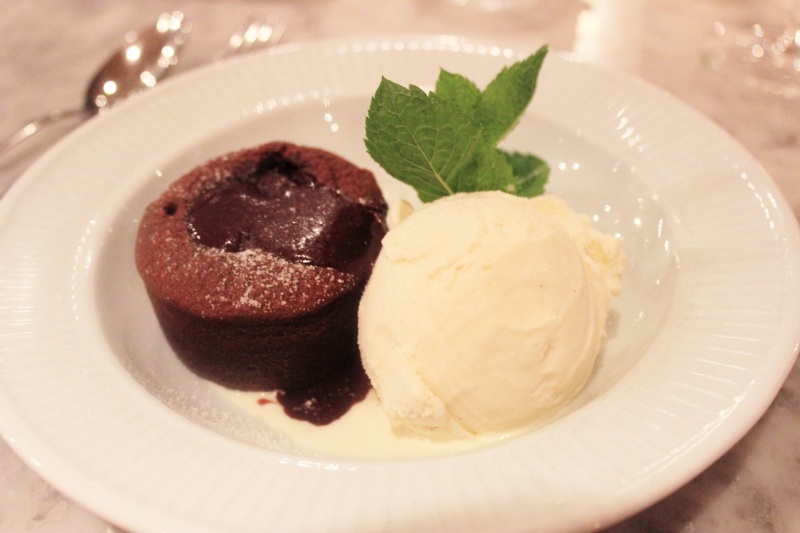 The chocolate fondant is to die for! Wow, they look delectable! This post motivated me to try Côte. Oh my word praline crepes, it would be worth the trip just for that! Everything here looks so delicious. I would have chosen the baked Camembert and chocolate fondant too, they look and sound amazing! Wow, the food looks out of this world! !